Long pause again, I know. These days you'll just have to take what you can get. When I left you I was hanging out in Canada; now I'm back in London, though once gain only briefly. This is because I've had an out-of-the-blue offer of six weeks of work in Cairo, Egypt. I won't get into the details, but it seemed a good opportunity, so I'm leaving on Wednesday and I'll thank you all to keep your opinions about the general security situation in North Africa to yourselves right now. You can say "I told you so" later if it's warranted. Now for a cheerier(-ish) topic: the boat! Even though I'll only be in the UK for about ten days, this is the first time I've lived on the boat full time. No more the Happy House in Brixton - I just landed at Heathrow, got a taxi straight from the airport to the boat and have been onboard ever since. It’s now official... 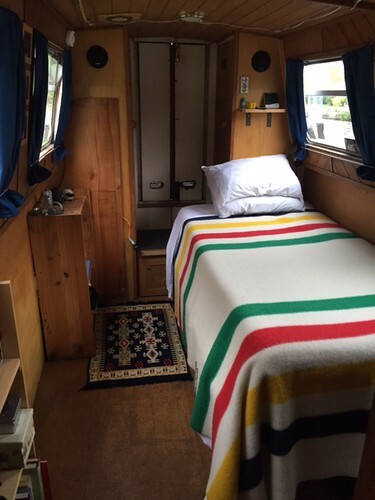 I live on a boat! First of all, I am super super happy with the new paint job. 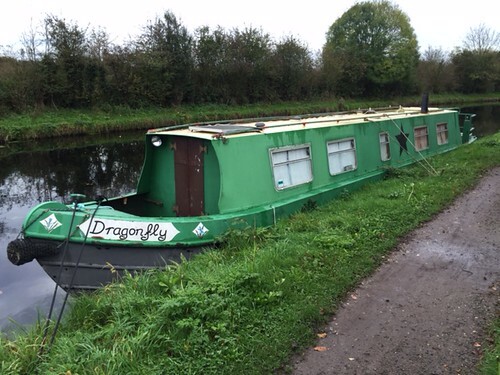 Everyone remember this boat? It was a bit sartorially challenged, I think you'll agree. What a transformation! It looks like it actually belongs on the water now instead of on a scrap heap! 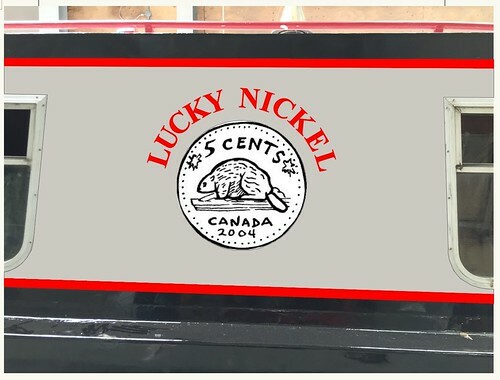 I now live on a boat called “Lucky Nickel” Thanks to everyone for the suggestions, but Karen wins the prize. Which is in the mail. So that's the new name, officially registered and everything. I didn't do any of that breaking-a-bottle-of-bubbly-on-the-bow business, which I guess is unlucky but I don't really hold with that. Then again, considering the week I've had, maybe I should splash out for a bottle of Moët right now! My first week on the boat has been... challenging. First, when I arrived from the airport to the marina where it was stored there wasn't even anyone there. I guess the guys at the marina weren't expecting me to be back when I was, so I found my cooker in pieces waiting for a part that would fix the grill. (North America Translation: the oven was in pieces waiting for a part to fix the broiler). However, the marina guys were really nice and managed to get the right part the same day and the lovely Neil came and fitted it, so now I can apply intense heat to foods from above, which I haven’t been able to do before. I also have hot water on tap (including hot showers) and I can refrigerate things and even do laundry. 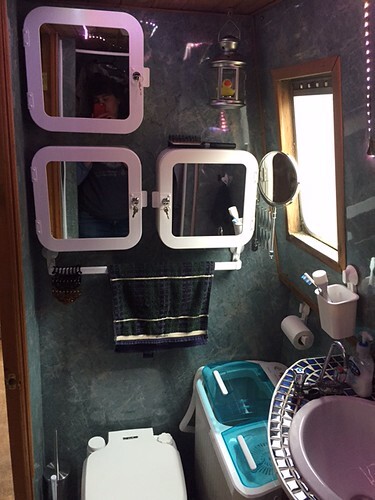 All the mod cons! The day I arrived the Lovely Neil also stuck around and fixed a broken connection between the water filling inlet and the water tank, which I cleverly deduced was faulty because when I stuck the hose into the inlet water started pouring directly into the bow of the boat instead of into the tank. Luckily, this meant I got to try out my new shop vac. Luckier still, all that was needed to make the repair was a new hose clamp (UK Translation: jubilee clip). 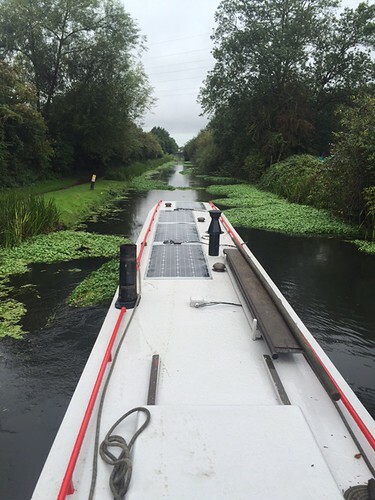 The next morning I was ready to go and managed a short cruise down the canal to Tesco to stock up and get ready to run further into London. The weather was hot and sunny, the solar panels were sucking up tons of power and I sent out invites for gin and tonic on the deck. Hell, I even had lemons and ice. ICE! Sadly, it did not last. The weather turned cool and rainy and, more sadly, it became apparent that while the solar panels were doing all they could to charge the batteries (that power everything from the starter motor to the water heater) the alternator, which is supposed to charge things when the engine is running, was not pulling its weight at all. Nope. And on a cloudy, rainy day, when the solar panels can’t be expected to produce nuclear-level wattage, the alternator really needs to pick up the slack in order to keep things ticking over. This discovery was followed by an intense flurry of text messages between me and the continually-not-present Nes, who astute GSWPL readers will remember as my certified guy who know about engines and electricalish stuff. 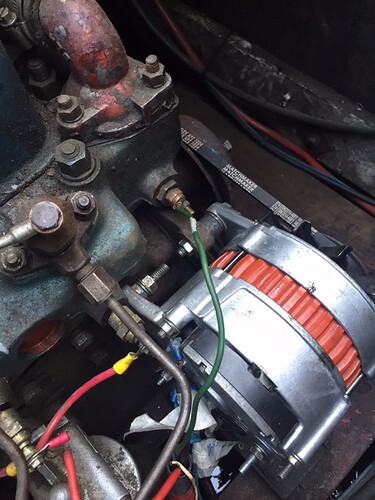 He’s currently in South Africa, but always up for a remote engine troubleshooting challenge. There was a LOT of "try this", and "What's the voltage at the blah blah?" and "Check the connections on the reverse oscillatronifier" and such. LOTS of that. 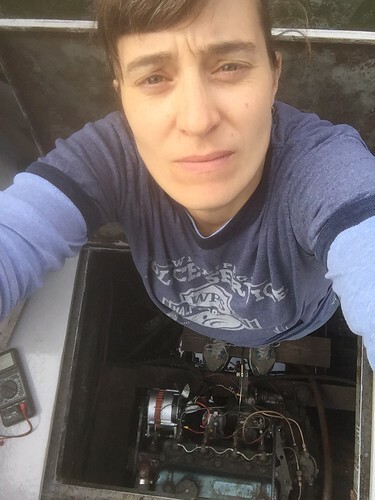 Basically, it was me standing in the engine bay waiting to drop my iPhone into a greasy bilge while texting stuff like "Tell me EXACTLY where to put the meter leads" and "I don't understand. Explain again." And stuff like that. What eventually happened was that I removed the old alternator and travelled across London with it in my backpack to visit a tiny rundown shop in Cricklewood where Nes promised there would be a guy who can rebuild or replace old alternators. Because of course they don’t really make new ones for this vintage of engine anymore. Of course. (Ok, did anyone catch that? I REMOVED MY OWN ALTERNATOR. How awesome am I?) Luckily, while waiting for the Magical Wizard of Cricklewood to create a new alternator, I managed a side trip to IKEA, where I got a bunch of stuff that makes the bathroom pleasant and functional instead of sad and dingey. Look, it’s like a real place now, with actual storage that is not made out of scrap lumber! And then I got a cab back to the boat and installed the new alternator and everything was fine. A Girl and Her Diesel Engine. I did get the new alternator installed by myself, but despite an unending stream of advice and instructions from Nes, it just wouldn’t send an appropriate amount of voltage to the batteries. Eventually we had to concede defeat and I headed back to the main marina for some attention from a certified engine guy who was actually in the same postcode as the boat. Unfortunately, that main marina is up the sad and weedy Slough Arm of the Grand Union Canal, which dead ends at Slough, a remarkably fitting thing for such an unpleasant bit of water. I made it to the marina, where I remained for three more days waiting for a new starter battery and the careful attentions of Young Bob. He gamely battled my aged engine, troubleshooting his way through an air leak or two, much confusing old wiring, a possible clogged fuel filter, loose engine mounting bolts, a very recalcitrant split charging relay, and an unusually needy exciter circuit (that’s a real thing!). All the while, I at least was able to plug into mains power (North American Translation: I could plug into a regular hardwired power source) and fill up with water whenever I wanted. On the downside, I was about a hour on the train from Central London. Tedious. I finally got out Sunday morning and had a pleasant and slightly less weedy chug back to where I started, though I’m still waiting for the itemised bill from the marina (!). The engine seems to be running well, but I’m kind of resigned to the idea that it’s simply a matter of time before the next thing crops up. I can only hope that eventually I’ll run out of things to replace, by which time I should be able to strip that engine down to its component parts and reassemble it blindfolded. And if nothing else, the fact that I fitted the new alternator myself gave me some serious street cred (or would that be canal cred?) with the young mechanics at the boat yard, meaning I think they gave me a more attention and help than they might have, and spent more time explaining things like stern glands and fuel lift pumps and thermocouples and, of course, alternators. The new alternator, WHICH I INSTALLED MYSELF. And even though it didn’t work right it’s not my fault because there was a lot of other stuff going on. 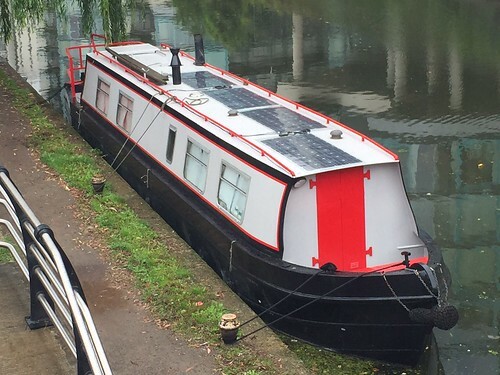 *NB stands for narrowboat, of course. I’m back in Winnipeg, where I lived for twelve years, and where I bought my first house, and where the preponderance of My Stuff still remains. In a former life I had a house full of belongings that I loved. Books, housewares, yard equipment, tools, furniture… all the trappings of modern existence. Then I sold that house and downsized from 850 square feet of living space to a 75 square foot storage space and a single carry-on sized bag. 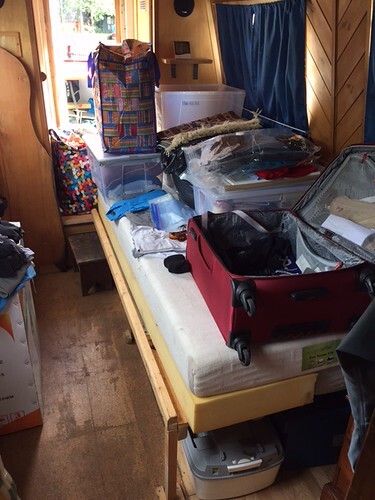 I sold some things and I gave some things away, and the remaining stuff - stuff that felt significant or useful (for what I was assuming would be a continuation of my previous lifestyle in some other Canadian city) - got carefully packed and put in a storage space that I’ve now been renting for six years. 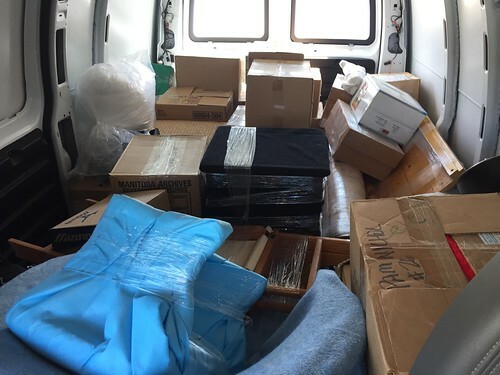 I did have a few boxes sent to London (for an outrageous sum) and also managed to cram everything else into a slightly smaller storage locker down the hall in 2010. But otherwise that life has remained suspended in time with only occasional visits to fetch hockey skates and winter boots. So when I knew I’d be back this summer I finally decided enough is enough. Hanging on to stuff I may not use for a decade (or ever) is silly. And paying $78.75 per month, every month, simply for the privilege of owning a complete set of David Eddings mass market paperbacks and an olive pitter is even sillier. And now I've also got a tiny storage space in London and hence was paying for storage space on both sides of the Atlantic which is, frankly, too silly to bear. So I rented a van and opened up the under-used and unsurprisingly recalcitrant padlock on the rolling shutter and girded myself for a dive into the past. Thankfully, friends who were on vacation offered their house as a sorting zone, so I spent a couple of days unpacking and repacking boxes and sending occasional photo text messages to my sister with pictures of treasured old kids books and other mementos, including a vintage pair of Star Wars pillow cases and a particularly evocative old tin of broken crayons. (It's the smell. The smell of crayons. It is the smell of childhood.) I think I was pretty sensible, and purged about six boxes. Though Karen, who’s had to clear out two family homes in the last year, is utterly heartless about these things. I suspect she would have advocated for simply handing the padlock key to a truck driver from Value Village and saying “Have at ‘er!” I've ended up with about 14 boxes of stuff to save which will, I think, be a profound disappointment to her. This is the first load, off to be sorted. Happily, some friends of friends came over by chance and hauled away a good number of books, CDs, bits of furniture and kitchen gear (“Welcome to Discount Pam’s Crazy House of Random Stuff! Every book comes with a shelf to put it on!”). I guess they’ve got grown kids who are just starting out in their own places, so my old two cup food processor and mis-matched coffee mugs and bike lock will have a good and happy home. Anything unclaimed is going to a charity shop. I do have small twinges, especially about giving away the bits of furniture I actually built with my own hands. But then I remember that I now live on a very small boat very far away. And I genuinely don’t know when I’ll live somewhere “normal” again. And even when/if I do live somewhere normal I don’t know what continent that normal place will be on. So as much as it tugged at my heartstrings, it just feels like someone else can use these things more than I can. Why keep stuff locked away, weighing me down, using up space and money and mental energy, when they can be useful to someone else right now? And really, 15 or 20 years on from when I built it, I’d like to think I’ll be in a position to build or splash out on a brand new coffee table. Or perhaps I'll be in the right place at the right time to receive the cast-offs of someone like me, who's decided they can live without an old coffee table but not without a sense of moving forward. And on the subject of going forward, let's talk about going backward a bit! 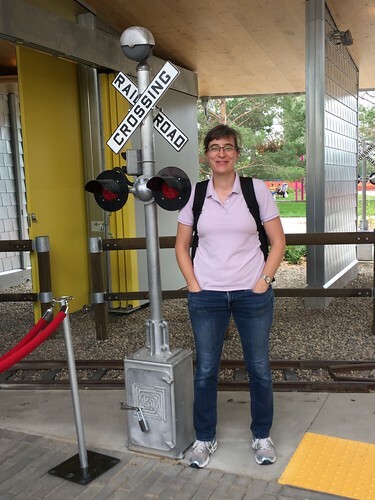 I’ve also been back in my home town Saskatoon on this trip and had a chance to reconnect with a few locations from the dim reaches of my childhood. Back in the mists of time, when dinosaurs roamed the earth (around 1975) I was a kid growing up in Saskatoon. And in that magical time the Kinsmen operated a very very small amusement park near the riverbank and across from the city's art gallery, the Mendel. Both the park and the gallery were relatively important landmarks in the city at the time, and both are undergoing some significant change right now. So what better excuse for a quick jog through the past? 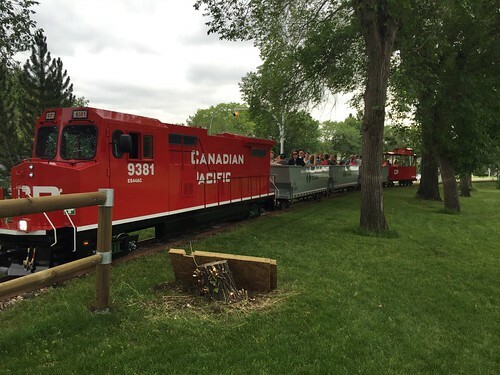 Kinsmen Park is a small bit of green space whose chief attractions to a 6-year old in 1975 were the merry-go-round and miniature railway. (And here I am obliged to mention that my niece, who is now 9-going-on-16, used to have a great love for merry-go-rounds, which she referred to as the "Horsey-up-and-down”. Which of course makes perfect sense.) 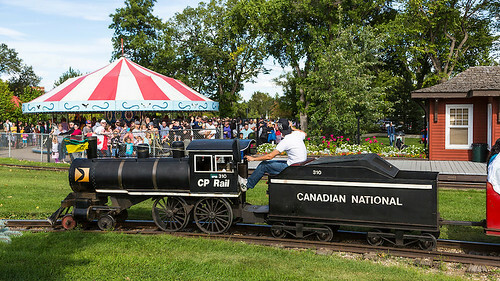 So Kinsmen Park had a Horsey-up-and-down that you could ride on and a miniature railway that would take you on a very short tour of the park and, later on, even added an exceedingly small ferris wheel. My great-grandmother used to take me and my sister to the park and sometimes buy us ice cream and also give us dimes to pay for the rides, because that's what they cost back then. (Now they're two bucks each. Sigh.) I'm sure my parents took us too, but what I really remember is Nanny... Dimes... Rides. The rides closed down some time ago, so imagine my joy when I learned the park had been refurbished. (Well, perhaps joy is a strong word. Mild interest might be more accurate). Conveniently, it was slated to open while I'd be in town, and it's a short walk from my Mom's house. So with nothing else on the agenda, I walked over to check it out on Opening Day. The Ferris Wheel is new, and much bigger than the old one, which I'm pretty sure had just six seats. 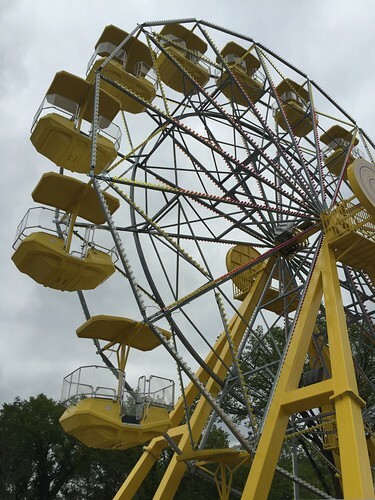 I suspect a high angle rescue from the top seats on that ferris wheel would have required standing on a chair or, at worst, a short step ladder. Better, though, was the newly refurbished merry-go-round. All of the cast aluminum animals had been removed, stripped and completely repainted in correct heritage colours, then reinstalled on the original structure. This means all the quirky animals I remember are back, including the red-nosed reindeer, dog, elephant and, of course, the chickens. 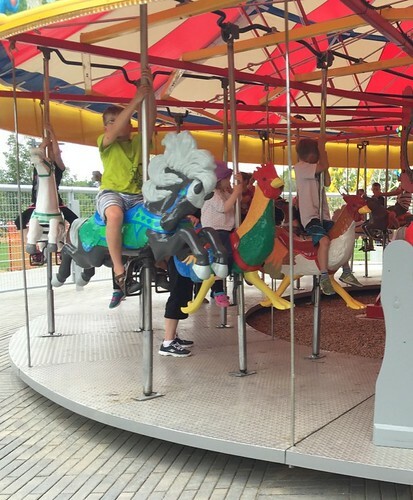 Because of course no Merry-go-round is complete without chickens, right? Or is that just a prairie thing? The new miniature train is (oddly) quite big and impressive and lives overnight in a purpose built Train House (that’s what they’re called, right?) with sides that open right up to reveal the platform. I didn’t ride the train (or anything, for that matter) mostly because the line ups were long. Perhaps if the stars align and my niece decides she actually is 9-going-on-6 maybe I’ll hit it next time we're both there. I can’t help but feel it lacks some of the charm of the original, but perhaps I'm just being curmudgeonly. There’s also a new adventure playground and water park and even a zip line, which is all very modern and fun looking, if a bit wet. I wandered around long enough to take a lot of photos and even had my own photo taken so as not to disappoint the lovely RobH. And then I headed across the street to the site of the aforementioned Mendel Art Gallery. 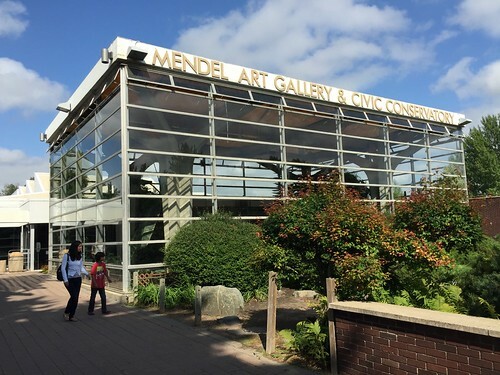 The Mendel is Saskatoon’s major public art gallery, and opened in 1964. However, the building closed last year and they're now in the process of building a much bigger new gallery in an up-and-coming part of the south downtown area. The existing building is slated to turn into a children's museum, though designs are still up in the air. More significantly, though, is the fact that the Civic Conservatory that's always been part of the same complex, is still there and will remain after the revamp. Yay! The outside of the Conservatory. Kinsmen Park and the Conservatory occupy the same "Childhood Outing with Nanny" part of my brain, so it seemed natural to walk through there after I'd had my fill across the street. 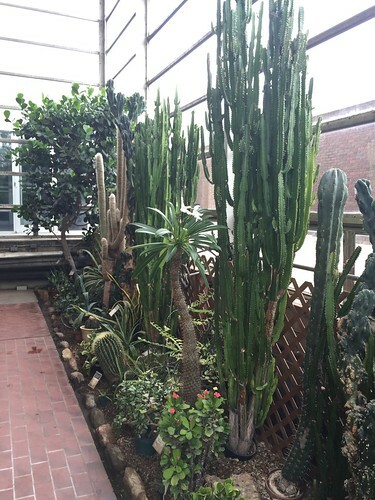 The Conservatory is a large greenhouse stocked with both exotic and seasonal plants and is open year round to delight Saskatonians (yes, that's what we're called) with cacti and palm trees and other things that seem frankly impossible and slightly magical in January in Saskatchewan. As with so many things from childhood, the Conservatory seemed smaller than I remembered. Maybe it's because I've now seen the Victorian glasshouses at Kew Gardens and Amsterdam's Hortus Botanicus and probably a half dozen other grand greenhouses around the world. Or maybe it's because I'm now 5' 10" instead of 3' 2". Or maybe, just maybe, it's because the Saskatoon Civic Conservatory is actually genuinely quite small. A mere 68 steps took me on a complete circuit of the collection. Nevertheless, it was great. The smell on entering was just as evocative as opening that 40 year old tin of crayons. Humid and warm and lush and green and very very UN-prairie. 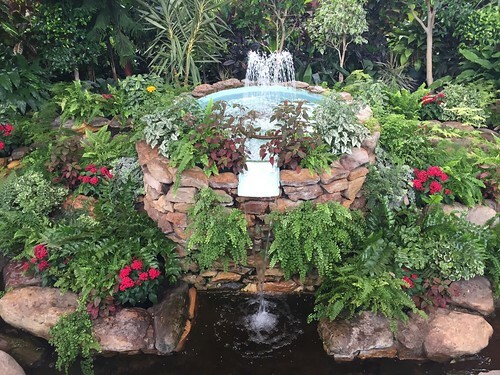 Walking into the Conservatory in the middle of a Saskatchewan winter, when the glass walls would be coated on the inside with thick ice from the frozen exhalations of plants and people was a genuine treat. Now the adult in me wonders how much they spend in heating the place through the winter. So instead of begging pennies from Nanny to throw into the fountain for luck, I got the café to break a fiver and tossed in a bit more cash to help cover the heating bill. And I made a wish (not telling). The fountain. It was always the aim to land your coin on that little tongue that the water flows over. It turns out this is much easier when your arms and legs are long enough that you can lean over the railing and basically place it where you want. And that's my summer so far. Actually quite nostalgic: horsey-up-and-downs and coins-in-a-fountain and dusty boxes full of one or two forgotten treasures and a high percentage of what-did-I-keep-this-for?s and a reasonably gratifying amount of oh-yeah-I-miss-thats. Now does anyone need an olive pitter?